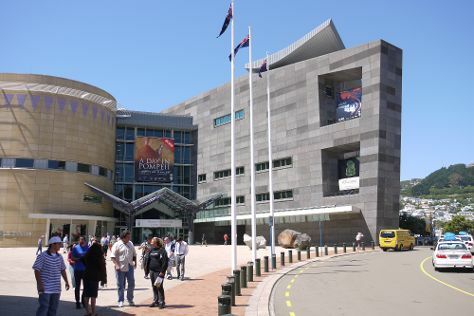 Start off your visit on the 11th (Mon): look for all kinds of wild species at ZEALANDIA Sanctuary, then admire the natural beauty at Wellington Botanic Garden, and then examine the collection at Museum of New Zealand (Te Papa Tongarewa). To find more things to do, reviews, photos, and more tourist information, you can read our Wellington day trip website . If you are flying in from Brazil, the closest major airport is Wellington International Airport. In March, daily temperatures in Wellington can reach 22°C, while at night they dip to 16°C. Finish your sightseeing early on the 11th (Mon) to allow enough time to travel to Taupo. On the 12th (Tue), don't miss a visit to Spa Thermal Park and Riverbank Recreational and Scenic Reserve, then hike along Huka Falls tracks, then get the adrenaline pumping with an extreme tour, and finally contemplate the waterfront views at Lake Taupo. Get ready for a full day of sightseeing on the next day: take an unforgettable tour with a helicopter tour, then look for all kinds of wild species at Tongariro National Trout Centre, then cast your line with a fishing tour, and finally stop by Souvenir Outlet. To plan Taupo vacation without wasting time, ask Inspirock to design an itinerary. You can fly from Wellington to Taupo in 3 hours. Other options are to drive; or do a combination of flight and bus. Finish your sightseeing early on the 13th (Wed) to allow enough time to drive to Rotorua. Eschew the tourist crowds and head to River Rafting & Tubing and Waimangu Volcanic Valley. Change things up with a short trip to Hobbiton Movie Set in Hinuera (about 1h 20 min away). The adventure continues: witness a stunning natural landmark at Wai-O-Tapu Thermal Wonderland, admire the natural beauty at Government Gardens, try for a hole-in-one at Lumberjax Mini Golf, and get your game on at OGO Rotorua. To see photos, reviews, more things to do, and tourist information, use the Rotorua itinerary app . 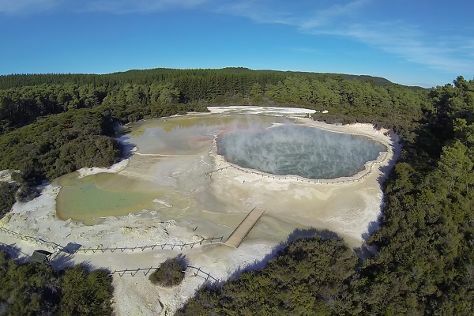 You can drive from Taupo to Rotorua in an hour. Another option is to take a bus. In March, daily temperatures in Rotorua can reach 26°C, while at night they dip to 18°C. Wrap up your sightseeing on the 16th (Sat) early enough to drive to Auckland. Auckland is known for nature, museums, nightlife, parks, and zoos & aquariums. Your plan includes some of its best attractions: enjoy breathtaking views from Sky Tower, contemplate the waterfront views at Devonport, meet the residents at Auckland Zoo, and step off the mainland to explore Tiritiri Matangi Island. To find maps, ratings, where to stay, and more tourist information, you can read our Auckland trip itinerary planning tool . Drive from Rotorua to Auckland in 3 hours. Alternatively, you can take a bus; or fly. When traveling from Rotorua in March, plan for a bit cooler days in Auckland, with highs around 22°C, while nights are a bit warmer with lows around 22°C. Wrap up your sightseeing on the 19th (Tue) early enough to travel back home.